Should Madison Live or Die? One of my colleagues, a death penalty expert, told me that when I asked him about the Supreme Court’s recent death penalty case, Madison v. Alabama. Petitioner Vernon Madison was convicted of capital murder over thirty years ago. He killed Officer Julius Schulte and tried to kill his own girlfriend. He has been to court many times since then. Today, however, his lawyers argue, he is incompetent to be executed because he has developed dementia. Today he is very ill. He knows there is a toilet next to him but never uses it. He is disoriented about time and place, and cannot remember much. The two-step combination of a forgotten memory of his crime plus a mental injury should constitutionally prevent Alabama from executing him, according to his lawyers. My colleague was probably right about me. By pure coincidence, I had just read a New Yorker article about patients with dementia. It raises ethical questions of being truthful and lying to patients. Is it better to tell patients with dementia about all their losses, whether of dead loved ones, jobs, property and other things, or to tell them lies to keep them happy? Should we respect the advance directives of those who ask for truth in case of illness, or ignore the directives because, in the long run, lying will keep patients happier once they have dementia? It is not a pleasant prospect. I prefer the truth approach as a possible patient and, quite honestly, do not want to live with dementia. So I was torn about whether dementia is a good reason to keep a death penalty convict alive even longer. Some people, of course, are wrongly convicted, and should never be put to death. Should Madison be put to death if he was properly convicted of a capital crime, even if he now has dementia? The two sides of the case had an interesting, and at times confusing, debate about the constitutional status of dementia. The Supreme Court has already addressed related issues about the Eighth Amendment, mental capacity and the death penalty in Ford v. Wainwright (1986) and Panetti v. Quarterman (2007). Both of those cases were 5-4 decisions. It is likely that Madison will be a 5-3 decision, with Chief Justice John Roberts the possible swing vote. Panetti was even more detailed, with a long opinion on whether the demanding procedures that Ford had set out were followed. The Court, 5-4, in an opinion by Justice Anthony Kennedy, decided Panetti did not get the proper Ford proceedings to determine whether he was mentally incompetent. Because the court of appeals was too deferential to the state in its review of Panetti’s evidence, the Supreme Court reversed its decision. The Court left open many questions about who an incompetent person is and how one proves it. Madison and Alabama argued about what those proceedings are and how much evidence a defendant needs to prove incompetence to be executed. Technically all the lawyers are arguing about is whether Madison meets the Ford/Panetti standard. In that inquiry, it is not clear where dementia fits into the Court’s tests. Did the lower courts misread Ford and Panetti to say the defendant has to be insane or delusional, and not give enough credit to the details of what dementia had taken from Madison? Despite some confusion in the briefs, at the oral argument both sides agreed that merely failing to remember one’s crime is not enough to render a defendant incompetent to be executed. Instead, there is a two-part test, combining a loss of memory plus some kind of brain injury. Madison’s lawyer did seem to suggest a criminal would have to have brain injury to have real loss of memory. A defendant who merely says “I don’t remember” has not proven enough for either side. Madison’s lawyer, however said the courts below had wrongly focused on “insanity, delusion, or psychosis,” inappropriately leaving dementia’s effects out of the analysis. Today, he added, science can add MRI slides and other information showing that someone has brain damage from dementia. And yet, Madison’s side acknowledged, just having dementia does not automatically qualify one for exemption from capital punishment. According to Alabama, the courts were correct to find that Madison has a “rational understanding” that he is going to be executed. The state’s lawyer said there is no confusion in Madison about the meaning of a death sentence. Moreover, the state still has an interest in retribution for a heinous crime of killing a police officer. The state said rational understanding cannot be found in an MRI slide. Instead, it comes from talking to the person about the crime. Because Madison had a “rational understanding that he was convicted of the crime of murder, that he will be executed for that murder,” there is reason to affirm the state court’s ruling against Madison. And that is the conflict. Madison’s lawyer says he is too frail, bewildered, and vulnerable to execute, but the state says dementia does not prohibit Madison from having a constitutionally rational understanding of what will happen to him. The cases are plagued by the lack of “unanimity of rationale” for executing an incompetent person that Justice Marshall noted in Ford. And now possibly weakened, as well, by how well everyone understands dementia. Justice Elena Kagan asked the state’s lawyer about a dementia patient who can understand something one day, but then come back and learn it anew, all over again, the next. “In other words, . . . you can get him to understand something, but then he loses it.” The state said Madison still had a rational understanding of his crime that should allow him to be executed. Madison’s lawyer, of course, disagreed. Many medical personnel think it is okay to lie to dementia patients because of Kagan’s point about dementia. They will forget things from day to day, so they can always hear another story from one day to the next. Nobody seems to have yet thought about what it would be like to have a prison full of dementia patients. 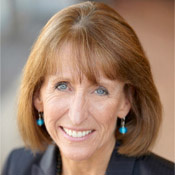 Dr. Leslie C. Griffin is the William S. Boyd Professor of Law at the University of Nevada, Las Vegas Boyd School of Law. Prof. Griffin, who teaches constitutional law and bioethics, is known for her interdisciplinary work in law and religion. What Should the Court Do With That Cross? How Do YOU Think About the Right to Vote?